I love watching how quickly science and robotics are advancing. Some things remind you of something out of an old Sci Fi movie, like CyberDyne maybe (insert tin hat joke or scary government conspiracy here_____)? For the most part though, I'm just excited to see where things are going. 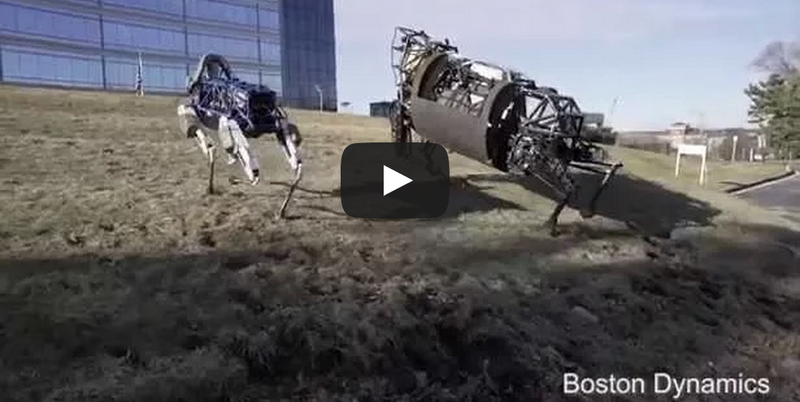 The following video shows robots that walk like dogs or maybe horses. Okay, technically some of the "robots" here are probably technically called RC objects or drones being driven by people, but still this stuff is all pretty cool. "Combat robots violates Asimov's 3 Rules of Robotics"...insert another tin hat joke here.